BELOW APPRAISED VALUE! APPROX $160K IN LOT IMPROVEMENTS! BRING YOUR OWN BUILDER. 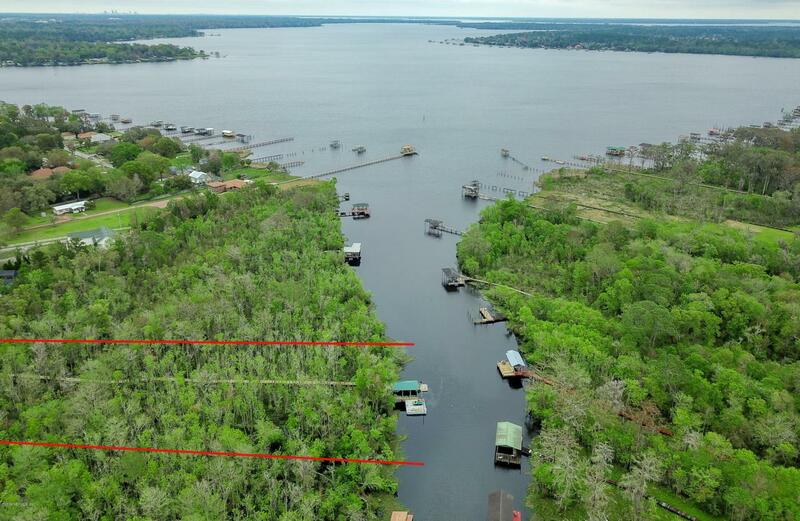 Navigable waterfront lot-almost 3 acres just seconds from the wide mouth of Doctors Lake on Duck Creek w/ deep water! No expense was spared. BRAND NEW BOARDWALK TO THE WATER, NEW EXPANSIVE BOAT DOCK W/ FISHING PAD AREA. Cleared land and building pad ready to expedite the building process. It's worth the wait for exactly what YOU want. Enjoy nature and privacy galore on a dead end street and create your backyard oasis- plenty of room for a pool, covered pool lanai, outdoor kitchen, fire pit, covered patio, seating area and outdoor pergola/ veranda. No HOA, No CDD. If you have a RV / Motorhome,toys or boat that needs storage , have the freedom and flexibility with extra and parking. Call now today to see how we can make this building process easy! MOTIVATED SELLERS!